Nintendo has unveiled its Q1 financial results (covering 1st April to 30th June), including some solid numbers for the Nintendo Switch and its games. Those looking for dramatic increases in projections and confidence will be left disappointed, however, with the company's core sales estimates remaining the same despite a quick start to the year. For over five years Nintendo has often struggled to make profits in the first few months of the financial period, so these Q1 results clearly show some positives. As is also normal for the Q1 results, though, Nintendo isn't revealing or saying a great deal beyond the main figures. As mentioned in our introduction, however, there's some disappointment that major game and product announcements from June in particular have not prompted upward sales revisions. Despite repeated assurances of boosting Switch hardware manufacturing, for example, the full year sales target for the system remains unchanged. The sales so far and projections (the latter of which are unchanged from the annual financial report from April) are below. Also of interest, Nintendo gave an exact figure for smart device-related income in Q1, naturally including money made from the likes of Super Mario Run and Fire Emblem Heroes. Income from this area was 9,062 million Yen (approximately $81 millionUSD). The broader financial projections for this financial year — 1st April 2017 to 31st March 2018 — are also unchanged, estimating healthy profits. Net sales are still expected to hit 750,000 million Yen, a hefty 53.3% increase over the previous year that would take the company's sales back towards the levels enjoyed in the late Wii / DS period. Operating profit (which reflects the core success of making and selling products) is also expected to jump by 124% compared to the previous year with a projection of 65,000 million Yen. 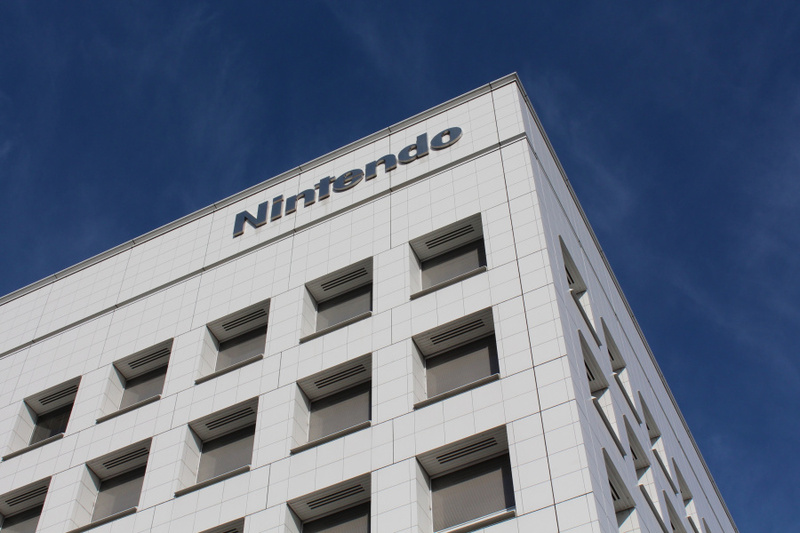 A steady set of results, with Nintendo nonetheless opting not to revise up its sales estimates; that could all still change in later financial reports for Q2 and beyond, of course. Good numbers, Q1 is always the hardest for any consumer electronics company. Nintendo may not raise their Switch hardware sales forecasts until they are sure that more Switches can be produced. A couple of analysts predict that Nintendo will raise their Switch hardware forecast from 10 million units to 13 million units. I agree with that. I am almost 100% certain Nintendo will raise their Switch software forecasts from 35 million to 45-48 million. Nintendo shipped 8.14 million Switch games last quarter, so if they ship 8.14 million Switch games per quarter, Nintendo will ship a total 32.56 million Switch games this fiscal year. That makes the incredibly unrealistic assumption that there is no software sales boost during the holiday quarter, as Nintendo typically ships as much if not more software during the holiday quarter than the other three quarters combined. 15 million consoles is a better estimate over their 10 million projection..
@westman98 Yeah, definitely a case of wait and see what they say in Q2 when it comes to the Switch estimates. They'd be even better if they had produced more Switches and SNES minis. I'm very interested in hearing later today how many Switch units shifted in Japan during the past week. And how many copies of Splatoon 2 sold. I have some theories on all this so called demand outstripping supply and these lottery lines in Japan. If Switch sells 100,000 units this week which would be a headline grabbing number after selling pretty much 25,000 each week units for over 2 months then it will say a lot. And that Nintendo are still at this limited supply nonsense to create artificial demand. They're becoming masters at this tactic now. Certainly a lot of naesayers have quietly slipped away from here in the past few months. Going to be difficult tracking one down later this year. @cfgk24 Bear in mind 10m is the financial year projection, so they are predicting 12.7m lifetime sales by the end of March. @DrkBndr 102,000. Well would you look at that? What a coincidence? Media Crate should have their numbers around noon today. Nintendo know full well what they're at. Watch all the publicity they get with 100k featuring prominently in the headlines. It just so happened to coincide with the same day as their financial results. Ya right!!! This bodes very well for both Nintendo and the Switch. Color me impressed. Definitely nice to see them recovering from the Wii U sales fiasco. If they can get their stock issues settled, and if they push every game released thus far in addition to Super Mario Odyssey, I see the Switch being a monster over the holidays. things are looking great, they just need to sort out there stock issues with making the switch if they can keep em coming they will definetly sell them! So happy to see results like this. I know Nintendo fans are the first to moan when they put a foot wrong (myself included) but after years of watching them struggle with the Wii U it's great to see a company I love taking such a share of gamer's hearts and wallets. The Switch is a terrific console and the first party games to date are fantastic (with 1,2 Switch being just OK). The marketing support was there, too. So Nintendo has to feel a bit gutted by the supply chain issues. Fingers crossed they get things squares away in time for retailers to stock their shelves with Switches for the holidays. Of course they would release what is known to be a hit bundle at this time. Everything else would be just stupid business. And the investors are WAY more impressed about the software sales and attach rate that Nintendo are currently producing then at the hardware sales. We'll look at the hardware sales in a year. And then again in year and a half. Right now most Switch have still gone to Nintendo early adopters and Nintendo fans. There is not enough evidence to say it's a massive hit as of yet. It has a good chance, but it isn't there yet. Attach rates on the games... Those are simply flabbergasting. @Timppis It's still selling better than the Wii U and we are still approaching a holiday season. I think there's a lot of people like me that are simply waiting to buy a switch until later when there is actually new games for it. I'm not saying all the ports are bad and arms looks interesting but I really have no reason to buy a switch yet especially since my Wii U has Netflix and YouTube and most of the games that are on switch right now. If me, I will wait to buy Switch on December 2017. Perhaps, a White color of Nintendo Switch or cheaper bundle with Super Mario Odyssey. I love getting sales numbers! Especially when they are good news! @SLIGEACH_EIRE these were splatoon bundles. You know the ones they were talking about when they said production was going to increase. Just imagine how better it would've been if there was more Switch's about. @SLIGEACH_EIRE Nintendo would be wise to save extra consoles for Splatoon's launch. But that in no way proves the artificial demand theory. If they released those 75k into the wild the weeks before the Splatoon launch, they wouldn't have enough to satisfy demand around launch. It's like, the fact I spend more money around Christmas doesn't mean I have it in abundance all the year round. And just think, this is without Splatoon 2 numbers. Sounds like they will have a great year. If they can fix the stocking issues, then they can easily hit the 10 million mark. Even further, it might be possible to pass Wii U lifetime sales in a year, or at least come very close. Fix your stock problems Nintendo, and you've got yourself a hit. Wow...It's crazy to see the possibility of surpassing the Wii U lifetime sales in the first year on the table. "And that Nintendo are still at this limited supply nonsense to create artificial demand. They're becoming masters at this tactic now." Take off your tinffoil hat and stop looking stupid. Go study how mass production works than come back here. Now you're just embarrassing yourself. Your total dislike and hence slanted view of their operations is see through. There is a severe parts shortage of DRAM, the screens used in the Switch and the motion sensing rotors, globally. Many devices use these parts. This is well documented across the business news media and affects not only Nintendo but Apple and many others. So stop hating and be logical in your arguments, rather than spit your usual poorly thought out drivel. NTDOY up 5% in NY as of right now. Huge move up! Investors believe the 10 million mark is way too low. If NTDOY is able to record a profit in Q1, despite a global parts shortage, and during a typically slow sales time, investors believe Xmas is going to go bonkers. Long NTDOY. I more than doubled down my position, where I was up near 50%, just three weeks ago and I'm up over 15% on that already. CA-CHING! @Fandabidozi I remember several people though the Switch wouldn't even break 3 million LIFETIME sales. XD That was a foolish estimate even for naysayers. I just hope Nintendo can ramp up production and maximize all this hype and good will! @Fandabidozi: A lot of them probably crawled back to their respective corners of 4chan and Reddit. I love Nintendo they deserve this cause Switch is awesome. @SLIGEACH_EIRE so basically Nintendo is running the company like a business? Oh the atrocities!! If consumers are smart they won't fall for hype but they do and in big part is because they want the console. So what is exactly bad about that. @Fandabidozi I'm mainly playing games. I fail to see what's so bad about being a naysayer. The Switch is doing great. It really doesn't matter much who guessed right and who guessed wrong. If you aren't trolling and actually think Nintendo selling 100,000 Switches during the launch of Splatoon 2 in Japan is a conspiracy to make shareholders happier (even though the financial data they just released covers sales from April 1st to June 30th), then you should stop commenting, go outside, take a deep breath, and start thinking logically. @Anti-Matter I would love a white unit. I am currently trying to Source a broken or otherwise unneeded Wii U gamepad as I want to take the back half off of a white unit and put it on my black Zelda unit. "Cheap" and "Super Mario Odyssey" shouldn't go in the same phrase. Do you really think Nintendo will lose the chance to cash in at full price on their flagship title for this year, when even Zelda didn't have a bundle? If there's a bundle for Christmas, it will be either Splatoon or Arms, to push the multiplayer side. If there ISN'T a Mario Odyssey Bundle for christmas I will be damn mad as an investor. It's the best possible way for them to sell the machine, pack it up with a flagship game. Only way to make sure it would sell out faster would be if there was Pokemon bundle but that is earliest holiday next year. It was my speculation about Switch color when I saw Super Mario Odyssey Amiibos. I saw White Tuxedo Mario, White Wedding Gown Princess Peach, White Dapper Bowser, so I think Switch will has White color someday based on that "hints". @Agent721 Please do not try to make assumptions on the influence of the DRAM's shortage impact on Nintendo. Industry reporters have reported that Apple’s latest iPhone will increase this shortage for consumers, as they will be taking up a significant amount of the available inventory. So if Apple can have priority over the amount of DRAM being produced or otherwise already available, why can’t Nintendo have some of that priority as well? If the demands are as great as they are for the Switch, if we believe Nintendo’s statement, they would not be limited by this factor, as Apple does not appear to be affected, other than possible price differences. Additionally, SLIGEACH_EIRE always comments like this, so why is now any different? There have been cases of Nintendo's limited production theory that has been recognized by others before, the popular YouTube channel Game Theory comes to mind as a champion of this idea when the Amiibo shortages were in full swing a few years ago. So to say his prediction is not logical, when your statement has a clear logical reach unless otherwise stated by Nintendo, is hypocritical. This isn't to say what SLIGEACH_EIRE said should be trusted, as it has no real source other than a popular unverified theory, but it is still at least a stance that seems logical. Also, could you and others stop attacking people like SLIGEACH_EIRE as a person? Hating a person’s ideas presented is fine and, in some cases, justified. Yet, hating a person because you believe they are always like this and using this as an excuse to insult their character is inexcusable. Not to mention this hatred is irrelevant to the context of the article and should be stated elsewhere. Apple can outbid anyone, including Nintendo. That's how they're getting their DRAM. There the biggest and richest company on Earth. They simply pay more per parts. Or at least that's what the Wall Street Journal tells us. As far as my answer, it wasn't meant to be mean, but it does come across that way looking back at it, and that is wrong, as I've never met him or her. I'll do better next time, there is no need to be rude. @chardir Yes, sorry, phone typing restricts my posts. I'm expecting 15million lifetime sales in that period Although if they do manage to ramp up their production, in theory yay could be 20 million. @SLIGEACH_EIRE Nintendo selling more consoles early on and therefore selling more games, therefore making more profit, therefore having a better buying situation for parts, a higher share price, a stronger financial position is the best policy for Nintendo. The execs will be on a bonus based on profit... Not media grief/hype. There is no deliberate stock shortage. They would have had to set aside a number if consoles for boxed bundles. You will see this with Monster Hunter next month. Nintendo want at many consoles out their as possible. I hope you can see this has a greater value than your 'deliberately restricted stock ' theory. Anybody who actually knows Nintendo's history will always suspect they're using artificial scarcity as a sales tactic. Their 'inventory management' techniques are well documented, going back to the 80s. If they have actually genuinely been caught out this time, well, unlucky for the boy who cried wolf. @SLIGEACH_EIRE The Switch sold more units because of the Nintendo Switch Splatoon 2 bundle. I'm not sure what you are trying to say regarding the financial results. You know that the stock price fluctuation has no effect on the company, right?